JUST BREAKING : Tiny Harris Has Filed For Divorce From Rapper T.I. !! 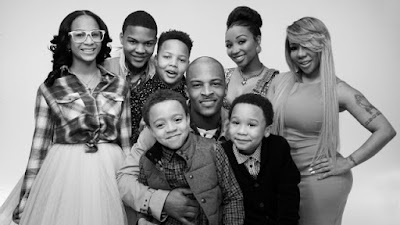 BHR Hollywood Reports............Tameka 'Tiny' Cottle Harris filed for divorce from T.I. (real name Clifford Joseph Harris Jr.) on Dec. 7 in Henry County, Georgia. Things got particularly bad for the couple after Halloween, when a photo of Tiny posing with Money Mayweather at Mariah Carey's Las Vegas bash surfaced online. 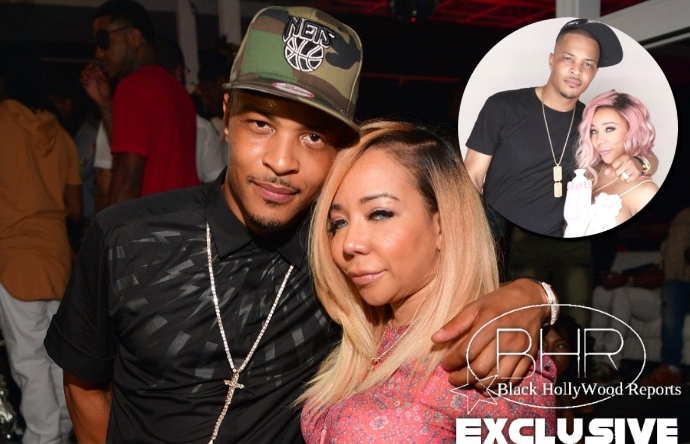 Tiny denied any shady behavior, but cell phone video of her dirty dancing with Floyd at that same party surfaced a few weeks later, sending her marriage to T.I. into a downward spiral. Similarly, allegations of infidelity have followed T.I. for years. T.I. and Tiny first got together in 2001, and then married in Miami in 2010. They have three kids of their own, as well as four step kids (Tip's three sons and Tiny's daughter) from previous relationships. They welcomed their youngest daughter, Heiress, just earlier this year. though official word is expected soon.